Posted in Software, Updates by RaMMicHaeL at October 8th, 2017. I love you right now. Thank you! I only use it to get rid of the width limit and the show desktop button, but it seems to be working perfectly. Ahhh perfect! Just came here to ask for a new version! Thanks for your effort! Fall update running on a virtual machine and on my Surface Book since a few minutes! Me again with the notice “It’s working proper on 16299”!!! BIG THANKS! Is there anything wrong accessing your (entire) page from the Microsoft Universe? Since several months I get errors, when I come to here over Bing search or in Microsoft Edge. It feels like they’re (Microsoft) blocking your domain in their universe. No problems with Google Chrome and Google search. About Microsoft and my website: a couple of weeks ago, I noticed too that my website is blocked on Bing. I’ve sent them a message about it, but never got a reply. I re-checked now, and it seems like it’s not blocked anymore. Do you still see that my website is blocked? If yes, please tell me where. There are still problems in Germany! Page isn’t reachable, it needs too much time to enter the page! …still no problems with Google Chrome on the same machine! I’m afraid I can’t do much about the ranking. About the timeout, it looks like it’s a browser issue, not a Bing one. But it works on my computer with Edge, so I don’t really know what can be the problem. Seeing an issue where taskbar icons disappear until you click on them. Not sure if it’s because of 7TT or just Windows being buggy. 1. With the Edge browser, see here for details. 2. With the virtual_desktop_order_fix advanced options, while switching virtual desktops. If that’s not one of the above, please let me know how to reproduce the issue. Don’t use edge, but do switch virtual desktops a lot, so chances are it’s that. 7TT works perfect on Windows 10 R1709! Is it hard to add a feature to duplicate system tray on @nd displayt’s taskbar? Just wanted to give a big thanks for the beta. Works as expected on version 1709 / 16299.19 build. The beta works fine on the 1709 version. Huge thanks for it! I choose show “alt+tab” when “ctrl+right-click” on empty space on taskbar (emptyspace|ctrl+rclick: 2) but it show Start in full screen (not alt+tab). Pls help. Thankyou so much! Just installed the beta on my two laptops (updated to 1709 yesterday), and all appears to be working normally! Thank you! After start it says “could not load library (5)”. But it opens and stays in the tray, I have access to options but nothing seems work. The issue should be fixed in 7+ Taskbar Tweaker v5.4, please try it out. If I am running win10 fall creators do I want to use v5.4 or can I use the latest v5.5? Also when I download v5.5 I get an error/warning that “The publisher of this program couldn’t be verified” – should I be concerned? If I am running win10 fall creators do I want to use v5.4 or can I use the latest v5.5? Windows 10 Fall Creators Update is supported since v5.4, but it’s always preferable to use the latest version of the tweaker, since minor fixed are introduced with every version. Also when I download v5.5 I get an error/warning that “The publisher of this program couldn’t be verified” – should I be concerned? That happens because the tweaker’s setup executable is not signed. As long as you’ve got the file from this website, you shouldn’t be concerned. Highly recommend this plug-in to all. I like the Full Start Menu/Screen at startup instead of desktop. This option was removed some versions ago and now is only available if you choose tablet mode ( which stops spit screen etc). Any chance of an option to boot into start menu please. I don’t plan to add such an option into the tweaker, sorry. Just noticed that the tray icon has suddenly appeared even though I’ve selected ‘Hide Tray Icon’ in Settings. Build 16299.15 was the initial public offering of Windows 10 v1709. Does the tray icon have a green arrow on it? If so, the tray icon has appeared because there’s an update available. Yes it does, so I guess it’s telling me that v 5.4.0 is available. Hi. Thanks for the quick release for the Win 10 update. Just a note that Kaspersky Antivirus is saying the installer executable contains a trojan called “UDS:Trojan.Win32.Generic”. It’s likely a false positive but wanted to let you know. I’m using Kaspersky 18.0.0.405 with the latest definitions. Thanks for letting me know. That’s not the first time, 7+ Taskbar Tweaker was falsely detected in the past by Kaspersky with the same classification. I sent them an email about it, hopefully the detection will be removed in the near future. Update: Kaspersky got another definitions update and is no longer complaining about the installer. It was obviously a false positive. Thanks and again, great work. dear 7+ creators: i really love your software. as you may know; for those of us who need to use and keep the onscreen keyboard active, pinned and minimized at all times its anoying how it maximizes on its own when avtivating the magnyfyer or other programs. I’m not familiar with this. It’s unlikely that such an option will appear in the tweaker, as it’s not really related to the taskbar. FYI – bitdefender won’t let me update b/c it’s flagging the latest update as malware. The application 7+ taskbar tweaker.exe accesses a web resource http://rammichael.com/wp-content/uploads/downloads/2017/10/7tt_setup.exe that has been detected as infected. Virus name: Cloud.Malware.1130zv3@bC27nZii. The web resource has been successfully blocked and your PC is now safe. I just recently discovered the feature of being able to drag window thumbnails, which I thought was a godsend. However, when I restart Chrome (which I combine/group into one window), the order of the thumbnails reverts back to what it was before dragging. Is there no way of maintaining the order of the thumbnails upon restarting an application? Otherwise, the feature isn’t of much use to me, unfortunately. Unfortunately no, there’s no way. Chrome decides the order of the thumbnails, and the tweaker has not way to distinguish between them after Chrome restarts, so it can’t restore the previous order. Yeah, I even tried ungrouping the taskbar button, rearranging the button/window order, and then grouping again, which changes the thumbnail order, too, but it all gets reset upon startup. Is there a way to increase the size of the taskbar icons? I could do this on the previous version but don’t see that option anymore. Will donate again if a new beta campaign comes around! 7+ Taskbar Tweaker v5.2 partially restores the option for Windows 10, but it’s more limited than it was on Windows 7/8. “This site is blocked due to a security threat. This site is blocked due to a security threat that was discovered by the Cisco Umbrella security researchers. This site was blocked by Cisco Umbrella’s patent-pending Intelligent Proxy. Probably a false positive. I see that you have a “Report an incorrect block” link, please use it and report the detection. Thanks. 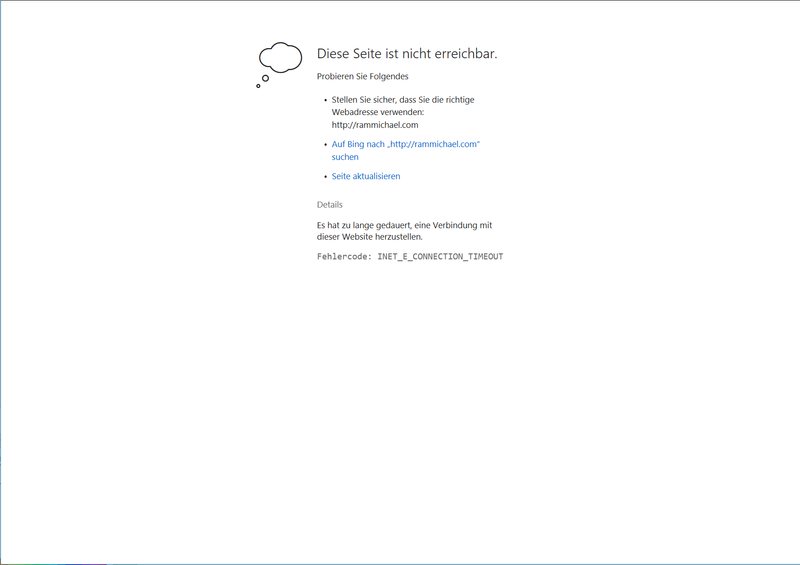 just upgraded to Win 1709 Pro german, unfortunately “disable_topmost” doesn’t work anymore. I’m using 7TT 5.4. Any chance to get it working again? I just verified, and it works on my Windows 10, which is also of version 1709. Perhaps you’re using another customization program which conflicts with 7+ Taskbar Tweaker. If you can find a way to reproduce the problem, please let me know. Otherwise, I’m not sure how to help you. Updated to version: Windows 10 Insider Preview 17063.1000 and getting Taskbar Tweaker: Could not load library (107). Should I hold out for an update coming? Insider builds are unfortunately not supported by the tweaker. First, thanks a lot for 7+ Taskbar Tweaker for Windows 10 Fall Creators Update, it is such a great tool! Now, since upgrading, whenever I switch between two desktops, the order of the taskbar icons randomly changes… Even after setting “virtual_desktop_order_fix” to 1… What am I missing? I’m not sure how Dexpot works with Windows 10, but Windows 10 has a built in virtual desktop functionality. If Dexpot uses custom virtual desktop functionality, you need to ask them why the order is not preserved. The “virtual_desktop_order_fix” option works only for the built-in virtual desktop functionality. Thank for your quick reply, I will contact them! Another option will be also great if there is a possibility to force the taskbar to hide partially so when it refuse to hide in some cases like when having a notification then it’s possible to just force it to stay out of sight while finishing what we have at hand and then just moving the mouse out of screen or 1px reserved space and it will show again, maybe the hiding can be triggered via double click on systray icon or just on a reserved space or some other ways… that anyone can customize. Thx for your work, I’ve been using this software for several years now. I do have a little issue with the latest version running on 1709 though, no_width_limit does not kick in after launch, I mean I have to manually change the width of my vertical taskbar everytime my Windows starts, all other functions like hide start button work as expected. And Taskbar Tweaker launches as last (after exporer.exe). Any ideas? Thanks, for sharing this informative stuff. 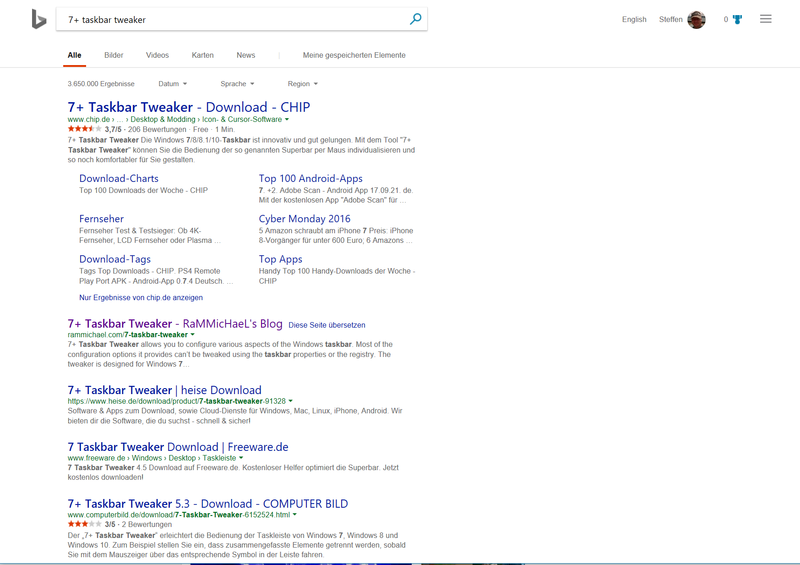 Yes, recently I upgraded Windows 10 from earlier versions of Windows operating system, and I love to use Winaero Tweaker. It’s best. Works perfectly. Can I make a request for a functional? In Microsoft Windows the problem of “focus stealing” is not solved for many years, this is very annoying. Seems to be appropriate option in tweaker, if it is possible. Yeap… Windows 10 Spring Creators Update Official 17133.1 (PC) [RS4_Release] will be out for public on 09/04/2018. Any chance at a beta for the Spring Insider version that just came out? Windows 10 April 2018 Update aka Windows 10 Spring Creators Update. After a delay 17134.1-1803/1803 (PC) [RS4_Release] will be out for public on 30/04/2018.